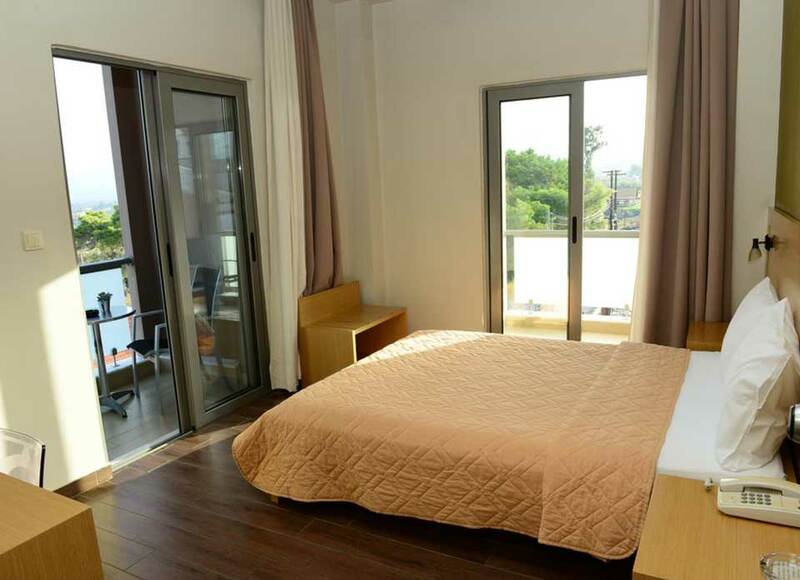 Ionion Hotel is located in the center of the beautiful town of Kyparissia, one of the few cities in Greece that are based between the mountain and the sea. The town’s unique location makes it the best choice for recreation or business visits any time of the year. Ionion Hotel is a family based enterprise since the day it was established in the year 1896 and was the first hotel to operate in Kyparissia. It has been recently restored in 2008 but in the beginning it was just a two-storied stone building. During its course it has been reconstructed & restored four times. The hotel’s recently renovated facilities offer a unique modern environment and warm experience to every visitor. The current owners of the establishment are Aristomenis Vrettos and Dimitris Maroukis. Single, double, triple and quadruple rooms are available in the hotel. All the rooms are fully equipped with modern conveniences, air conditioned, offer a variety of comforts and each has its own unique design style.